CTCMath is a full online Math curriculum for grades K-12. 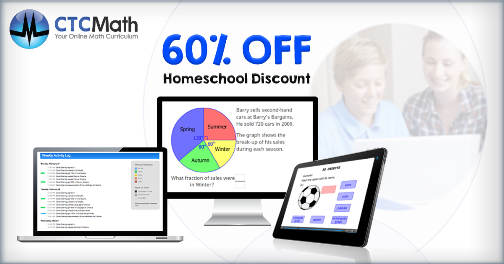 My family received CTCMath’s Family Membership, and homeschoolers can get 60% off + 6 bonus months! With CTCMath, children learn at their own pace whether they are catching up, working at grade level, or working above grade level. The CTCMath membership includes access to all of the material from grades K to 12! Everything! Through short video tutorials, CTCMath makes math easy to understand. To ensure that the concept has been mastered, lessons can be watched multiple times as well as the option to complete additional problems. The parent friendly CTCMath teacher interface makes adding tasks and tracking student’s progress a breeze! When logged into the teacher interface, the latest tasks and student information is displayed on the screen. The Latest Tasks allows parents to add new tasks and view active, recently expired, as well as upcoming tasks. Below the tasks, the account activity, awards, and weekly reports can be accessed. Emailing the Task Report to the teacher when the task falls due. Requiring the students to complete lessons and diagnostic tests in order. Hiding the level of lessons and diagnostic tests from the student. Save the task and then everything is in place for the student at the appropriate times! The task will appear in your student’s account on the days that you specified the availability. The student information lists the students, the last time they logged in, how many lessons they have completed, view their student profile, as well as logging directly into their account. When the student account is logged into through the parent portal, the parental account will automatically be logged out of. Since it has been many years since I last took an Algebra class, I worked through the CTCMath Algebra lessons. I found the lessons to be short and to the point, which I liked. Lessons and completing 10 problems took me no more than 15 minutes in a day to complete. Once I completed the first set of questions, I had the option of completing additional questions or moving on. I liked being able to print copies of completed lessons and assessments as they were completed. Our lessons didn’t always get printed or saved on the computer. I wish that I had the ability to go back at a later date and re-print lessons and assessments. 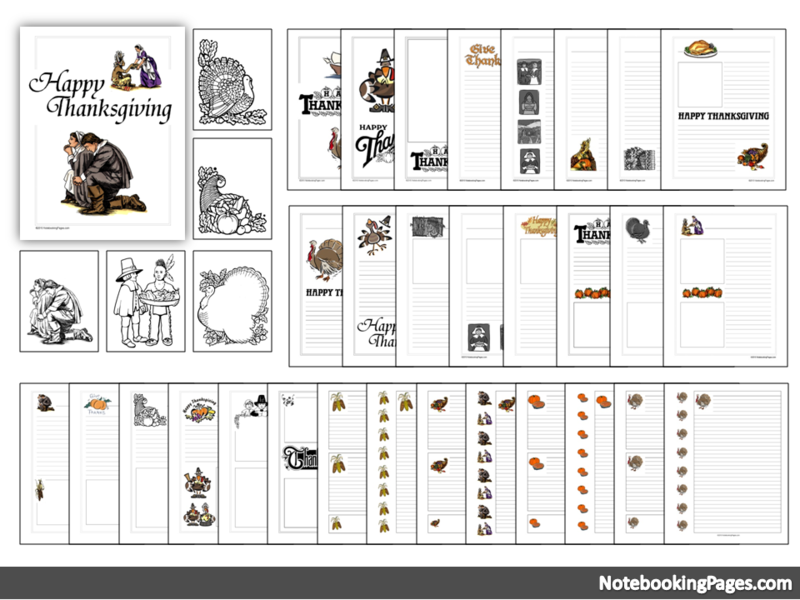 I save and print them to keep their work throughout the year as well as use some as samples in my kid’s portfolios. The information included on the printout: name, date, lesson name, score, how many correct, duration, as well as the problems themselves, with the answer. The problems were graded and if incorrect, the correct answer was provided as well. There are also grade level checklists and awards that can be printed for families that need to maintain records or portfolios. Peanut, Lil’ Bit, Sweet Pea, and Train Buff all enjoyed their lessons! Sweet Pea (9 years old) was excited to get to use CTCMath again. We got to use it last year as a part of the Homeschool Review Crew. She loves math so anything Math related is fun for her. Sweet Pea completed lessons in her grade level for measuring and addition. Through the kid friendly interface, Sweet Pea was able to maneuver around without assistance. She completed assigned tasks as well as chose other individual lessons to complete. Train Buff (5) needed the most help but he also doesn’t use a computer much unless he is watching an educational train show. The shorter lessons were awesome for his attention span. He worked on basic addition. There were a few addition problem where the items, like stars, he was counting were placed too close together. Counting was difficult for him when the counters were too close together. They looked like one large item versus individual items. Peanut (8) and Lil’ Bit (7) both have been enjoying CTCMath as well. Like Sweet Pea, they both worked on measuring and addition lessons at their grade levels. They have been eager in completing their lessons. I highly recommend checking out CTCMath for your Math needs! Please click the banner below for additional Homeschool Review Crew reviews.